Charging stations at Rosemead High in El Monte. Charging stations at Mountain View High in El Monte. Schools in the El Monte Union High School District are the first to install EV charging stations through SCE’s Charge Ready program. Shawn Cun, energy manager at the El Monte district, believes it is important to find solutions that will improve air quality if the district is going to be a good steward of the community. Cun knew that electric vehicles help reduce air pollution and were becoming more popular. 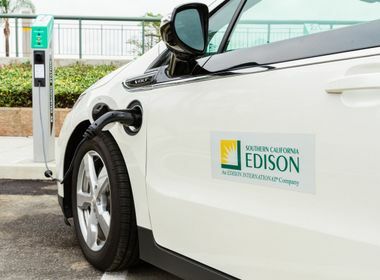 That’s one of the reasons El Monte Union partnered with Southern California Edison to install 39 electric vehicle charging stations spread out among its five schools — El Monte High, Rosemead High, Arroyo High, Mountain View High and South El Monte High. The charging stations were installed through SCE’s Charge Ready pilot program. Through the program, SCE provided the electrical infrastructure for the charging stations as well as rebates to help the district pay for them. For now, the charging stations are for students, teachers and staff, but Cun hopes to be able to make them available for public use in the future. While El Monte Union is the first school district to install EV charging stations through Charge Ready, they aren’t the only ones taking advantage of the program. 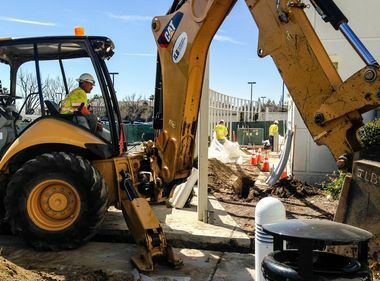 The Los Angeles Unified School District, California State University, Fullerton, University of California, Irvine and the California State University Office of the Chancellor are all in various stages of installing EV charging stations. Through the Charge Ready program, more than 1,000 EV charging stations will be available to drivers across SCE’s service area. EV drivers will be able to plug in and charge at public parking lots, workplaces, hospitals, destination centers, and apartment and condominium complexes. 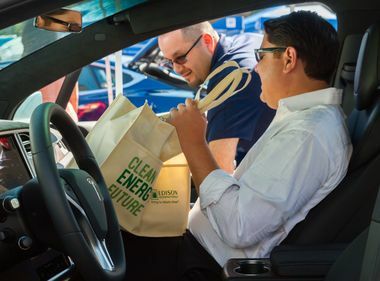 SCE is also helping make EVs more affordable through its Clean Fuel Rewards Program. The program offers SCE customers a $450 incentive that applies to new, used and leased vehicles. Unlike most EV rebate programs, second and third owners of a vehicle are also eligible for the payment. These programs are just two ways SCE is working to support a cleaner energy future. SCE’s recently released proposal, “The Clean Power and Electrification Pathway,” lays out a clear path to reducing California’s greenhouse gas emissions and improving air quality, especially in vulnerable communities such as those along the I-710 corridors and around the ports.